Safe Teen Driving Blog - Page 40 of 67 - Safe Teen Driving Blog - Providing a solid base for teen drivers by improving behavior, attitude, skills and experience. Driver education can save thousands of lives. Don’t believe me? Imagine a car and a gun side-by-side. Tell me, which do you think has taken more teen lives? If you feel like the answer should be the gun, think about this for awhile: which one of the two do you see more often day-to-day? While most of the country pays close attention to the subject of gun control or the views of the National Rifle Association, very little focus is given to the number one cause of death for teens- Car Crashes. The need for driver education is very important because so many of us take the right and the responsibility of driving every day for granted. We travel the roadways and go about our daily routines without the safety reminders we all need. And if you are a new driver— you need the reminders more frequently. We’re going to discuss the basics — the lessons you should be absorbing. This is by no means a substitute for actual driver education, just a summary of the information you may need a refresher on and could save your life. Buckle Up – Before even starting the car or stepping on the accelerator, always fasten your seat belts. Each year, over 400,000 teen drivers between the ages 16 and 20 get injured in car crashes. Wearing your seat belt will help save your life. It will keep you from being thrown out of the vehicle, lessen the force of impact when hitting the dashboard or other interior spaces in the vehicle and reduce the collision forces on your internal organs. Coupled with air bags, what would be a fatal crash can be reduced to one with only minor injuries. This is also true for your passengers. Make sure they fasten their seat belts. In the event of a crash, if they are not properly belted they can literally become a flying object within the car causing serious injury themselves and other occupants. Overcrowding – When driving a car, you are not only responsible for your safety, but also for the safety of all your passengers. Being a teen driver already increases your crash risk, but having other teens in the vehicle actually doubles that. Teens make up about 12% of all fatal car crashes in the United States. Overcrowding not only affects the way you drive overall, but causes distractions while driving. In some states, you can be ticketed and fined for driving with minors in the car. Overloading – A fact you learn in driver education: for every 100 pounds in the car’s trunk, we lower the car’s fuel economy by 2%. This may seem like a low number, but it adds up in the long run. Not only that, but it shifts the center of gravity of your vehicle which in turn affects engine performance, braking distance, and how the vehicle reacts in an emergency. If you’re planning on carrying a lot of stuff — don’t stuff it in the trunk, call a moving van instead. Emergency Kit – Driver education teaches you all aspects of driving: from trip preparation, operating a vehicle, laws and safety guidelines, defensive driving techniques and handling vehicle emergencies. Always make sure that, when faced with a vehicular emergency, breathe — stay calm. Panicking does not fix your car or improve the situation. If you plan ahead with the proper knowledge, a vehicle emergency tool kit including a spare tire, you’re going to be okay. If you can’t fix the vehicle, remember to have a fully-charged phone, with all your emergency numbers before leaving. Car Maintenance – Do you know how to check your oil? Is there enough fuel in the tank? Can you check if your tires are worn? Can you check the tire pressure? Are your mirrors adjusted correctly? These are small things you should know how to do after attending driver education — and you should turn this into a routine! Defensive Driving Techniques – Do you know where your blind spots are and check them each time? Do you keep a space cushion around your vehicle? Is there always a minimum of a two second following distance between your vehicle and the one ahead? Do you look left right left again before entering and intersection? These are some of the many techniques to be a defensive driver and a driver education course covers them. Driver education is a small step for turning teens into competent drivers on the road. Not only that, but driver proficiency is a skill you will be carrying for life — knowing the small things could save your life in the future! If you have a good attitude towards learning, and you try to learn as much as you can, you are well on your way to becoming a great driver. Graduation is finally here! Let me guess, you suddenly feel older, more mature, and ready for anything? You are on your way into the work force or heading off to college. Either way, freedom is within reach and it is time to celebrate! There are so many parties, dinners, and other events, all in you and your peers’ honor. Temptation will surround you. Peer pressure will be high, and the euphoria of the event will be a different pressure. You may think something like, “if I have one drink, it is not a big deal, I deserve to celebrate.” You may hear, “just have one drink, it won’t hurt you.” Before you give into the temptation, know the facts. It could save your life, a friend’s life, or a stranger’s life. What are possible consequences of impaired driving? Think about this before you drink/drug drive. You have a best friend that you have known since you were eight years old. You both are excited about the after graduation party. You drive you and your best friend to the party. You both decide to have a few drinks and you even take a hit off the joint being passed around. After all, it is your night and you have the right to celebrate. That is the last thing you remember and now you are waking up in the hospital. You are seriously injured, but far worse, you find out that your best friend was killed in a car accident on the way home from the party, and you are responsible. Situations like this have happened before and it CAN happen to you? Do you want to wake up in the hospital with serious injuries and someone telling you that you are responsible for the death of your best friend? I doubt it. We can’t predict what others may do. So if you are riding with friends, have a plan if they become impaired. Know who you can call, be willing to ask for the keys, and if possible find out if they plan on drinking before going to the party with them. You may need to make alternate arrangements to get to the party. It is an exciting time and you should celebrate your success. Your success can end in a matter of seconds with one bad decision. True freedom comes with smart decisions. Celebrate your entry into your adult life by making good decisions on your graduation night. Stay safe by staying sober. Restricted license sure is a step-up from a learner’s permit, but it’s still not the unrestricted, seemingly-special license and for good reason. The graduated driving license (GDL) laws are designed to introduce teen drivers gradually into the driving environment by limiting distractions such as other teen passengers and cell phone use. The laws also restrict driving at night until the teen has gained a lot of driving experience. The GDL laws in your state may allow you to drive alone under certain circumstances but that law may not apply in other states. No one under 18 – Most states only consider drivers eligible for application of the unrestricted license if they are over the age of 18. However other states, such as New York, prohibit unrestricted driving by anyone under the age of 21, even if they hold an unrestricted license in another state. Each state’s DMV honors restriction put about by your state – If you receive a ticket in another state, your home state will be notified and your driving record will show the traffic offense just as if had been committed in your home state. Whatever points your home state applies to a particular offense will be added to your driving record. If you are caught violating the restricted driving rules of your state, you could be charged with driving without a valid license. 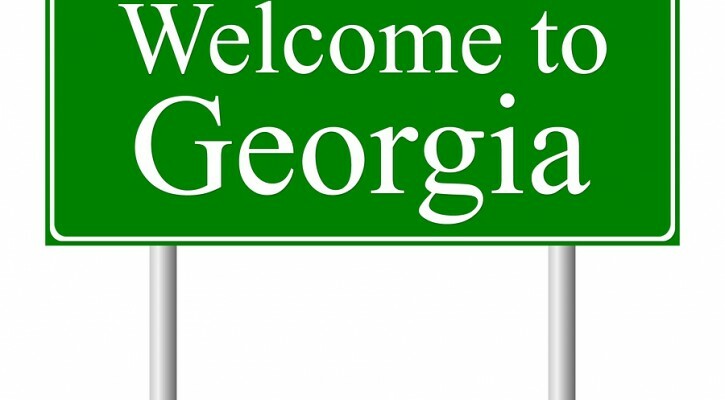 Double Trouble – If you commit a traffic offense in another state, you will have to pay the fines for that state and you will find that you will have points assessed in your own state. If the offense committed in another state puts you over the point limit in your home state, you could find that your license has been suspended. If your license is suspended in one state, all other states will honor that suspension. Holding a driver’s license, even a restricted one means being responsible and following restrictions put about by the driver’s state. If you plan to travel to another state, you can go to that state’s DMV web site and find out if your privilege to drive in that state will be more or less restricted. It is better to do the homework first rather than finding out too late by receiving a traffic ticket. For more information about driving laws visit your state see our DMV Department of Motor Vehicles Directory. In the fall of 2001 former New York Governor, George Pataki, signed a bill forbidding drivers from talking on their cell phones while driving. New York was the first state to enact such a law. The only exception to this law was that drivers could use hands free microphones (or a Bluetooth nowadays). Beginning on December 1, 2001 any driver in the state of New York caught talking on his or her cell phone while driving would be issued a ticket for $100. As the first state to enact such a law New York received a lot of attention. Eventually, several other states followed in New York’s footsteps and passed similar laws of their own. However, in the years following the passage of New York’s cell phone law a new communication trend began. Text messages and the use of other hand held communication devices were becoming increasingly popular. Unfortunately, New York’s Law did not prohibit texting and driving. It only banned talking and driving. The first momentous push for a Text Messaging Ban began in June of 2007. In Upstate New York five teenage girls were in an SUV headed down the highway. When the driver suddenly veered into oncoming traffic and collided with a big rig. While investigating the crash, it was discovered that the driver had sent and received text messages in the moments before the crash. All five girls died in the crash, only a few days after they graduated high school. Many counties feared similar crashes would take place without a law banning texting while driving. Since, it was not going to be enforced on a state level many counties took matters into their own hands. In 2008, Westchester and Nassau counties were among the first to pass laws. Westchester County started an education campaign in local high schools to inform new drivers of the law. County officials felt the law would benefit younger drivers. 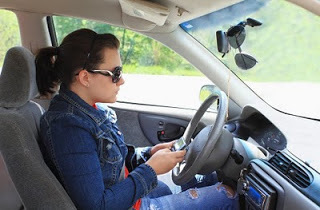 The younger, more inexperienced drivers were part of the text message generation and they felt a ban on text messaging while driving help new drivers pay attention. 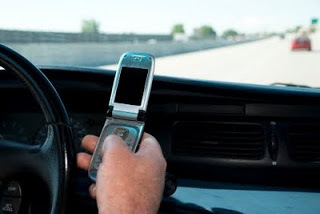 On August 27, 2009 Governor David Paterson signed a bill that would finally ban drivers from text messaging while driving on a statewide level. In addition to text messaging the law also bans the use of any portable electronic devices while driving. The law was put into effect on November 1, 2009 and breaking the law results in a fine of up to $150. However, the law is considered a secondary offense. Meaning, if a cop sees a driver text messaging while stuck in traffic on the Brooklyn Queens Expressway the cop cannot pull the driver over and issue him or her a ticket. If however, the cop witness the driver speeding on the BQE and text messaging the driver can be pulled over and issued a ticket for both offenses. On February 24, 2010 Governor Paterson proposed a change to the new law. He recommends the law be changed from a secondary law to primary law. The change would mean that the police officer who sees a driver text messaging while stuck in traffic can pull the driver without needing to find other reason. If the ban becomes a primary law, New York would not be the first state to raise the ban on text messaging from a secondary to primary law. Washington State Senate has already approved the switch from secondary to primary.